Finding activities and things to do in St. Louis is not always the easiet. Simplify your life with all your sports, fitness and recreational activities in one place...YOUR BACKYARD! 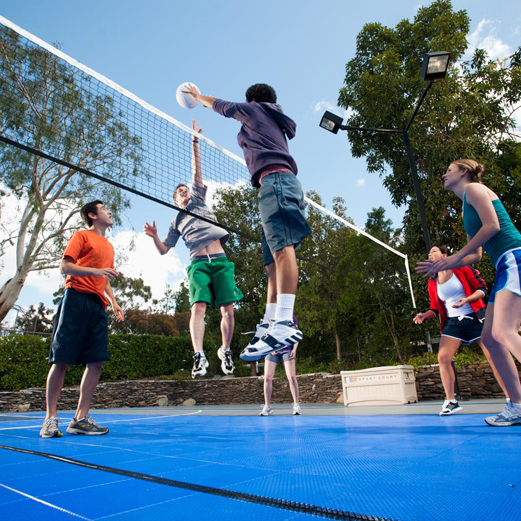 Sport Court St. Louis offers a full range of Multi-Use Courts for your backyard from, Volleyball Courst, Tennis Courts, Basketball Courts, Roller Hockey, Putting Greens, Soccer, Pickleball, Badminton, and so much more. Sport Court St. Louis is known for paying close attention to design and build details. Soyou can take your skills to the next level when you get a Sport Court from Sport Court St. Louis. Call TODAY for more details 636-451-0400.